Superman fans are finally getting the news they've been waiting for. Man of Steel 2 has finally entered active development! Very poor reviews don't seem to be affecting Warner Bros. and DC Films at the box office as much as one might think. Despite getting trashed on Rotten Tomatoes, Suicide Squad just shattered virtually every record in the books for an August opening to the tune of $135 million. And it is doing quite well overseas as well. But Warner Bros. knows they can't keep the rest of the general public on board if their movies keep getting trashed by critics. So it looks like they are turning to their golden boy (or man in this case) to right the ship. 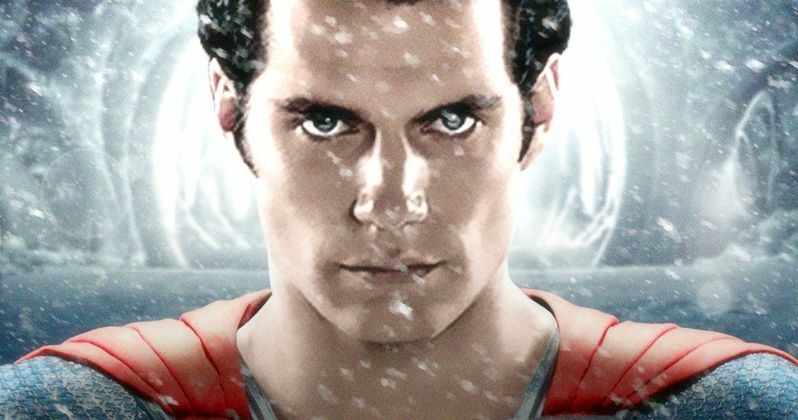 Yes, it looks like we are getting a proper Man of Steel sequel. According to a new report from The Wrap, Man of Steel 2 is in "active development," which they have learned by a source close to the project. They weren't able to name the source specifically, but this news doesn't come as a huge surprise and makes quite a bit of sense. Well, it makes sense as long as Zack Snyder manages to bring Superman back to life in Justice League, which he has already pretty much confirmed to be the case. Man of Steel kicked off the DC Extended Universe back in 2013 and was the first Superman movie we had seen since Bryan Singer's much maligned Superman Returns from 2006. The Zack Snyder take on Superman did well enough at the box office, bringing in $668 million worldwide, and was enough for Warner Bros. to move ahead with a full slate of DC Comics movies. Those movies started with Batman V Superman: Dawn of Justice earlier this year, also directed by Zack Snyder, and that did not go nearly as well as anyone would have hoped. One of the primary issues with Batman V Superman was the treatment of Superman in what was essentially a sequel to Man of Steel. He played second fiddle to Batman, and was not handled in a way that made fans happy. Not to mention that, as it stands, he is six feet under after getting stabbed to death by Doomsday. People also weren't happy about the treatment of the character beyond his origin in Man of Steel, most notably when he brutally killed General Zod on screen and destroyed an entire city, somewhat needlessly. The point is, despite Henry Cavill being pretty much perfect for the role of Superman, Warner Bros. has not handled him very well, and they know it.